Project Perfect Mod :: View topic - Don't get Ants in Your Pants! Don't get Ants in Your Pants! Posted: Sat Mar 06, 2010 6:39 am Post subject: Don't get Ants in Your Pants! We'll be posting some updates soon, but for now you guys will just have to wait. We're sitting on a hill of updates, things just needed to be sorted out. So just stop bugging us with all these questions about updates. Now, I know you've seen work done on nearly all the factions, and we know about the neglection of a certain side. God bless the Queen, because you're in luck they'll be featured in the next update! We've got a few of them ingame now, and they will be tested tomorrow. I've also heard some criticism about them being in the mod, as they aren't exactly fitting with the rest of the series. 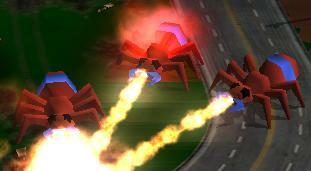 But remember, they came from Red Alert. So, they like any other faction, they too have a rightful place in this mod. Be patient for the for the next demo, soon you too will be able to swarm your enemies. Having done a tiny bit of work on them, I look forward to this update, and can agree on how much fun it will bring. Oh, I think he is. Ants? Who said anything about ants? This thread must be purged with fire! I saw this topic, thought it was an update with ants, was disappointed. Continued looking down and was greatly amused. Comcast: Yo dawg we herd yo were downloading, so we put fail in yo modem so yo cant download while yo failin! "My god, the maniac is going to do it. May god help us all..."